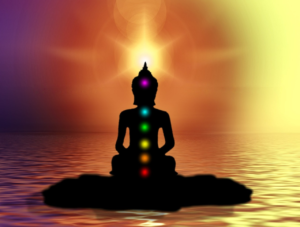 Chakras influence every aspect of your life including family, work, personal health, emotional, mental and spiritual. They are the centres of activity for the reception, use and transmission of life energies. This course will provide the framework for understanding, unblocking, and balancing the chakras. It can be the beginning of a truly transformational journey. There are universal life lessons at each chakra. Family, work and personal relationships take on a new perspective and meaning after the relevance of each chakra has been understood and the appropriate personal action has been taken. What do we do in a workshop? We spend some time discussing chakras and the human energy system so that you understand and appreciate the information and the opportunity that is about to be presented to you. Through the use of energy movement, visualisation, music, meditations, art, writing, movement, crystals, colour and more, we can bring the energy bodies back into balance. This effectively means we bring the physical, emotional, mental and spiritual aspects into balance. After each nightly session you take away the various activities and practice them. They can and do effect profound personal changes. Each time we meet there is the opportunity to listen to experiences, but no-one is required to share anything if they do not want to. There are eight, two and a half hour sessions held once a month. In addition, there is one night for each of the seven major chakras, and one night to bring it all together. The experiences are challenging, real and awakening. It’s great to feel alive and clearer. I now have effective life tools for the rest of life’s journey. Don’t let fear stop you learning about yourself – its one of the greatest gifts you can give yourself. Anyone opening to an understanding of the energy system. Those feeling “out of balance”, “blocked” or not reaching their full potential. Anyone considering healing as a possible future work option or sensing a life purpose involving helping others. Those seeking personal growth and self-empowerment. Prior experience is not required. Just come as you are, ready to enjoy. Thanks for a wonderful experience. It was a combination of the room, music, energy, words of wisdom, meditation, the laughter and the exercises. It was stimulating, reflective and full of information. It was a space that invited growth and change that opened me to a wonderful flow of freedom and just being.